Contemporary, edgy and very beautiful the Elsa Frosted Silver bangle is an amazing statement bangle which looks fabulous on!. 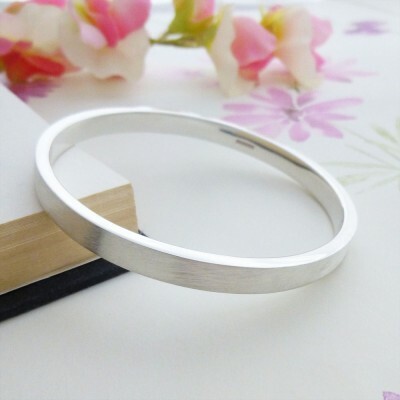 If you are looking for an original, chunky solid silver bangle then you will love this bangle! Handmade in the West Country the Elsa Frosted Silver Bangle features a frosted, textured exterior which is unique and very cool. 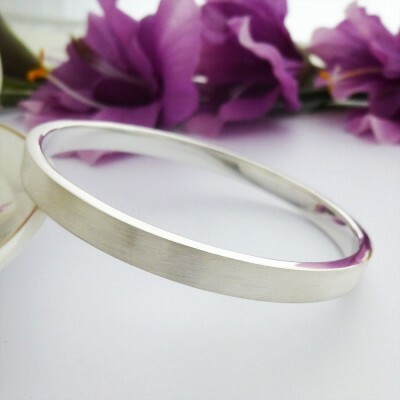 This bangle has a rectangular cross section creating sharp, sleek edges and it has a lovely solid, weighty feel to it. A very unique and unusual bangle that boasts a fabulous contemporary design. 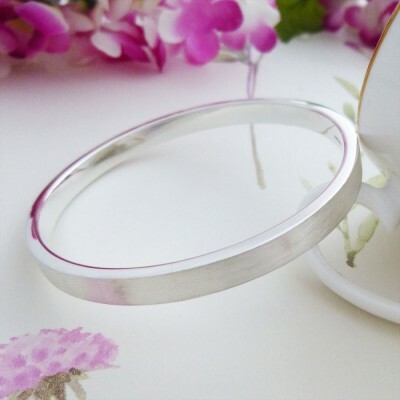 Hallmarked and handmade in the UK, this bangle is perfect for most wrist sizes.As the Elsa is a solid silver bangle, it is available for engraving in our personalised silver bangles range. Subject to availability, the Elsa is available in small wrist, regular wrist and large wrist sizes. The Elsa is hand made in solid 925 sterling silver with a UK hallmark. The rectangular cross section is 6x3mm wide. The internal diameter is 63mm. 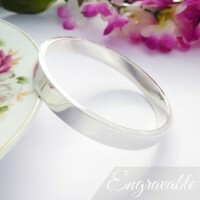 The approximate weight of this bangle is 43g.